Arts and Disability Networking Initiative in Cork. You are here: Home » Projects » Access Advice / Access Policy / Action Plans » Arts and Disability Networking Initiative in Cork. Arts and Disability Networking Cork is an innovative model, which aims to increase local capacity in the area of arts and disability. It involves a creative partnership between the Arts Council of Ireland, Arts and Disability Ireland and Cork City Council in association with the arts and disability sectors in Cork city. It offers training and support to personnel from venues and arts organisations as well as individual artists as a means of extending the scope of arts and disability practices, and promotes the presentation of high quality professional arts and disability work in local venues. 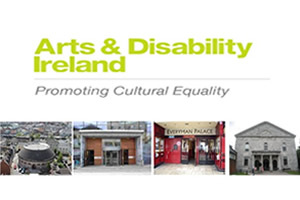 O’Herlihy Access Consultancy was engaged by Arts and Disability Ireland in 2012 to provide access advice and access auditing services for four Arts venues in Cork. These venues included The Cork Opera House, The Everyman Theatre, The Firkin Crane and The Triskel Arts Centre. The services provided by O’Herlihy Access Consultancy included a detailed briefing with staff and management of the venues, access audits assessing the building, services and how the organisation makes information accessible and follow up presentations on accessible service delivery.